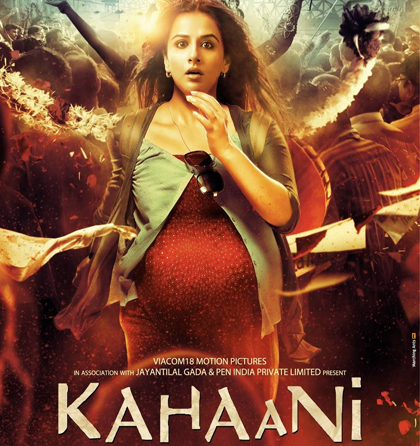 After THE DIRTY PICTURE, Vidya Balan is all set to enchant with a new KAHAANI! 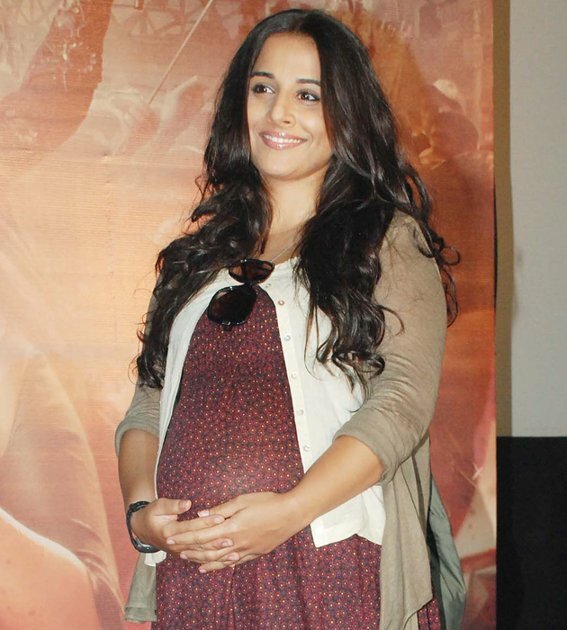 She made an appearance in her pregnant look from the film KAHAANI at Khar Railway Stations, Mumbai. She went to search for her husband at every nook and corner, as a part of the promotional campaign. The film will be released on 9th March in all over India. It was a big, fat Indian wedding with colourful bridal outfits and lots of embroidery... As Aarti Vijay Gupta displayed her latest wedding collection with a fashion show at The Wedding Cafe & Lounge, Andheri (West). Models of the likes of Aakruti Mistry, Mudasir Ali, Misti Mukherjee, Pooja Misrra, Gary Richardson, Abhishek Awasthi, Nikita Patil, Leena Dias, Chitra Jain, Rashmi Pitre, and choreographer-stylist Saajish brought to the fore, Aarti Vijay Gupta's exciting wedding collection, walking the ramp in prominent Indian colours red, gold, green, electric blue, purple and yellow outfits that comprised of Aarti Vijay Gupta's colour palette of her collection. The surface ornamentation and texturisation of the outfits stood out as the pretty women and handsome men walked the ramp. 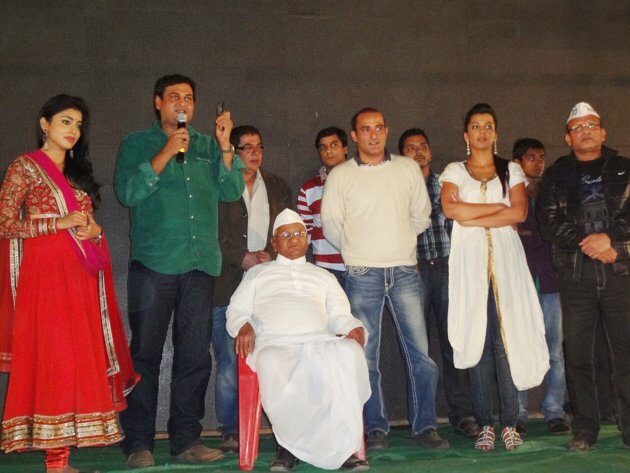 The audiences including paitners Varsha Vyas, Renuka, Amisha Mehta, Sonalli Iyengar, actor Vaibhav Singhvi cheered on. A big fat, Indian wedding indeed! Getting Rude over Indian Fever on Aarti Birethday! Enchanting Aakruti Mistry stole the show with her catwalk at Aarti Vijay Gupta’s Indian Fever Fashion show at the Rude Lounge, Juhu. A unique collection with Indianness weaved into the styling, the embroidery and the draping, Aarti Vijay Gupta brought to the fore, her exquisite designer collection of Indians, indo-westerns and western outfits that would not just suit the pretty, petite models but also be a wearable collection for the common man. 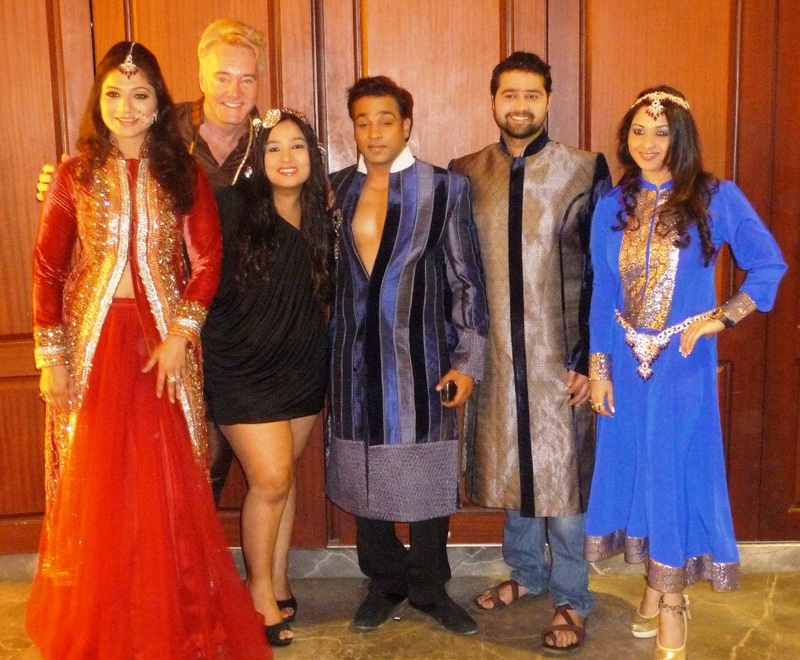 Gary Richardson was the showstopper for the Aarti Vijay Kumar fashion event that also had handsome Eijaz Khan in white, Abhishek Awasti, Rashmi Pitre, Leena Dias, Sweetie, Reshman, Swapnila, besides Aakruti Mistry, Su Young, Renuka Thawani and Misti Mukherjee among others walking the ramp while Vasant Bhandari and Sabyasachi were the guests along with Shera, Salman Khan’s bodyguard. An exciting evening followed by cocktails and sumptuous dinner made for a polite nite out at the traditional Rude Lounge! 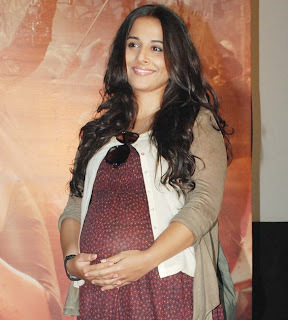 After The Dirty Picture, Vidya Balan created a sensation, she arrived dressed as a pregnant woman for the first look launch of her next upcoming film 'Kahaani' at Cinemax, Versova, Mumbai on 5th January. Speak to media she said,"I am a very greedy actor. I want to play different people, I want to do different kinds of films. Even if it means that the hero is the protagonist, as long as I have enough to do in the film I am more than happy doing it, I have not dictated myself that if the script is women oriented only then I will work in it or anything. If the film is good, if the role is good I will definitely do it." She will delivered baby on 9th March in Cinema Halls of India. The grand finale of Glamour International’s SENOR and SENORITA- 2011, organized by Soniya Mayers with Raj Suri was held at Mumbai Police Gymkhana, Marine Lines on 6th January, where 24 pretty participants participated. In this event director Faisal Saif came to promote his upcoming movie “5 Ghante Me 5 Crore” along with controversial actress Kavita Radheshyam. The film is all set to release on 24th Feb.all over, produced by Dr. Joginder Singh Padam, music by Leonard Victor and Starring Pakistani actress Meera with Abhishek Kumar, Kavita Radheshyam, Shahwar Ali, Naseer Abdullah and Ranjeet. Kavita has performed dance on the a song of her movie. Sara Khan, a leading actress of under production film “Dark Rainbow” also performed dance in between participants round. Miss Srilanka Gamya, fashion designers Kanwaljeet, Rehan Shah & Kavita, Saakhi Pradhan, Pooja Mishra, Farid Currim, Venus Chadda, DCP of Navi Mumbai Mr. Karad, and many celebrities were present in the event. 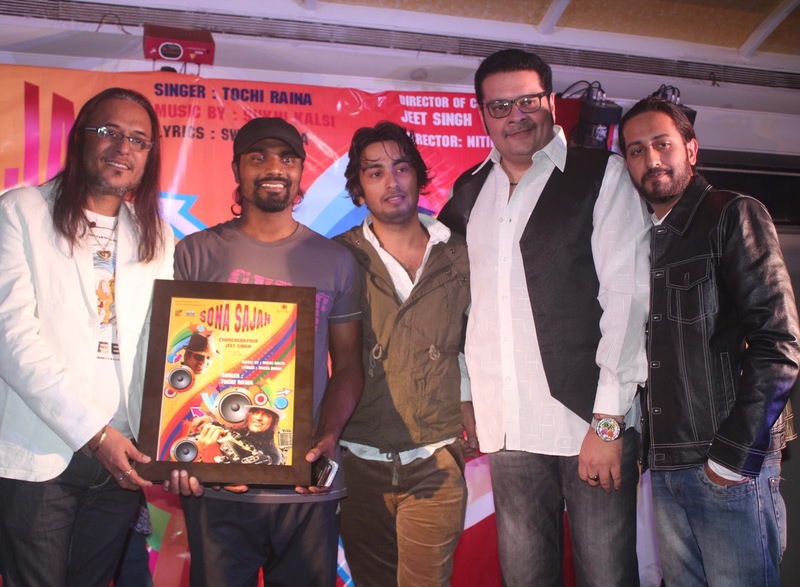 Remo releases Tochi Raina's album "Sona Sajan"
Choreographer, director and one of the judges of reality show "Dance India Dance" Mr. Remo D'souza was specially invited to release the audio album "Sona Sajan" of singer Tochi Raina. This album has six solo songs sung by Tochi Raina and these songs are penned by Shweta Raina, who is the wife of Tochi, and tuned by Sukhi Kalsi. "Sona Sajan" is produced by Vishal Tyagi, Yatindra Singh and Arjun Singh and it is released by B & V Music company. To promote this album two videos are made and Nitin Wagh and Jeet Singh are the directors of these video albums. After doing honors to the album in his small and sweet speech Remo praised the enthusiasm of young producers and said, '' They are from small town Jamnagar in Gujarat. Jamnagar to be precise, and it shows that talent has no boundary. I appreciate their spirit and I hope very soon I will work with this young guns'' No need to add that having praiseworthy words from Remo the three producers were over joyed. This audio launch was held on 27th Dec. at Goregaon Sports Club and it was also attended by actor Shehzad Khan, producer Asit Modi ( of serial Tarak Mehta...fame) and many former participants of Dance India Dance show.When this album's fast number "Jungle mein aag lagi..' was played there the dancers hit the floor and added colors to the event.